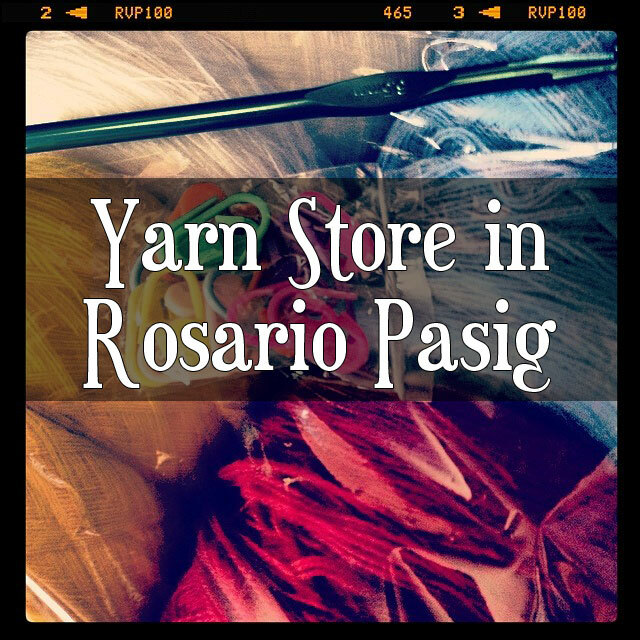 I promised to blog about this store that sells yarn in Rosario Pasig. 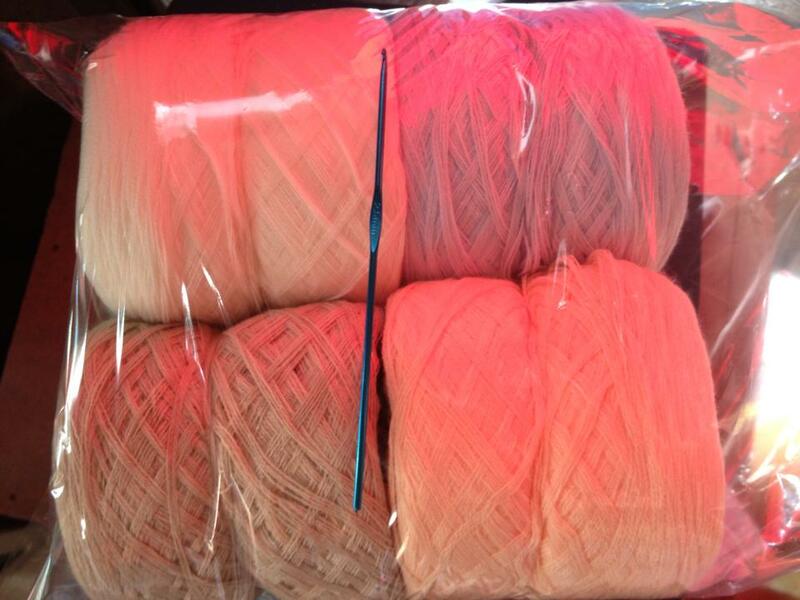 Until one fellow mommy blogger asked me where I bought my yarns. So here it is finally blogging about it. I am not sure what was the exact year I discovered this store. What I remembered was I was looking for a yarn store back then for my crochet projects. I was looking for the affordable ones because yarns are very expensive at the malls. Then I stumbled upon this blog (don't remember the name anymore), and decided to visit it. And voila! It is the best yarn store ever! I know I am exaggerating but ever since I went to this store, I've became their loyal customer. I will always hoard and buy kilos of yarns here. 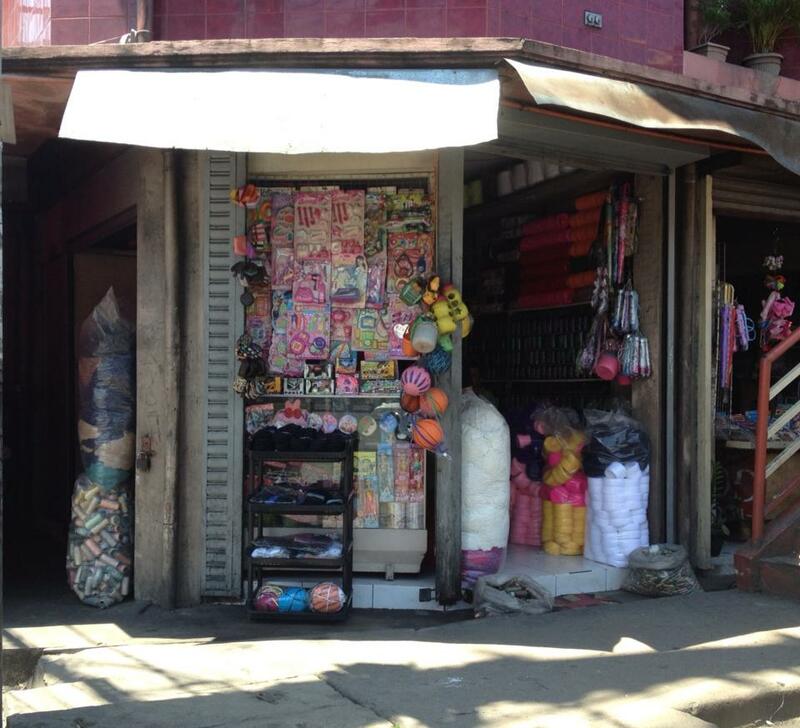 I am talking about the Bodega Store (as others is calling it) in Rosario Pasig. Here you will see balls of balls of yarns! 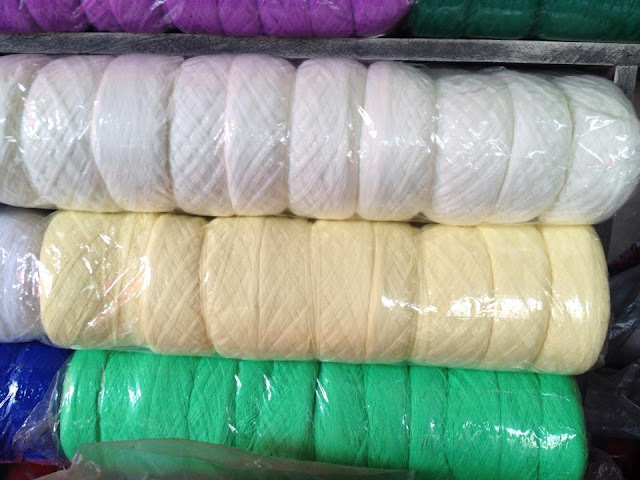 Acrylic yarns and Cotton yarns are available here per kilo. Thread yarns are also available. At first I thought the yarns are from Baguio City but I asked Kuya who is manning the store and he said that the yarns are from Taiwan. I also asked him what was the real name of the store. He then showed me their receipt with the name "Lacion General Merchandising". 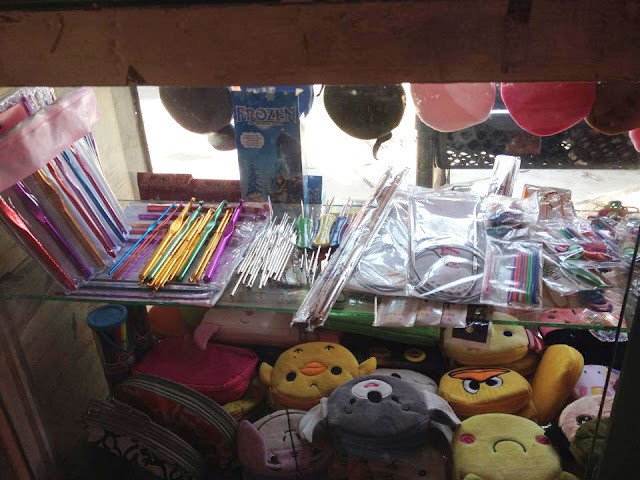 Kuya Miner let me took a picture of the store (he said he just finished arranging it). 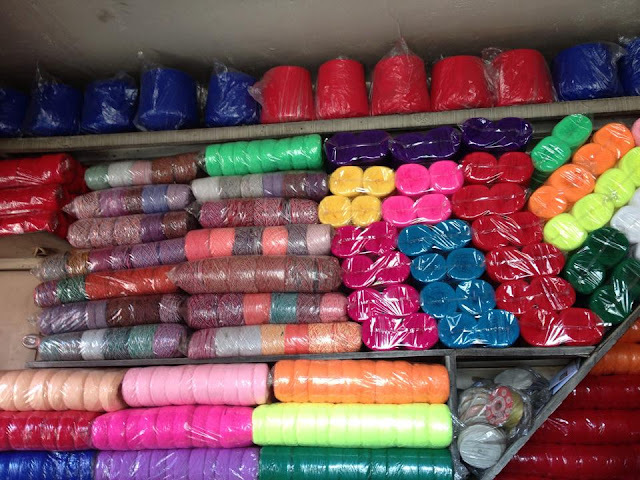 At the right side are the thread yarns. 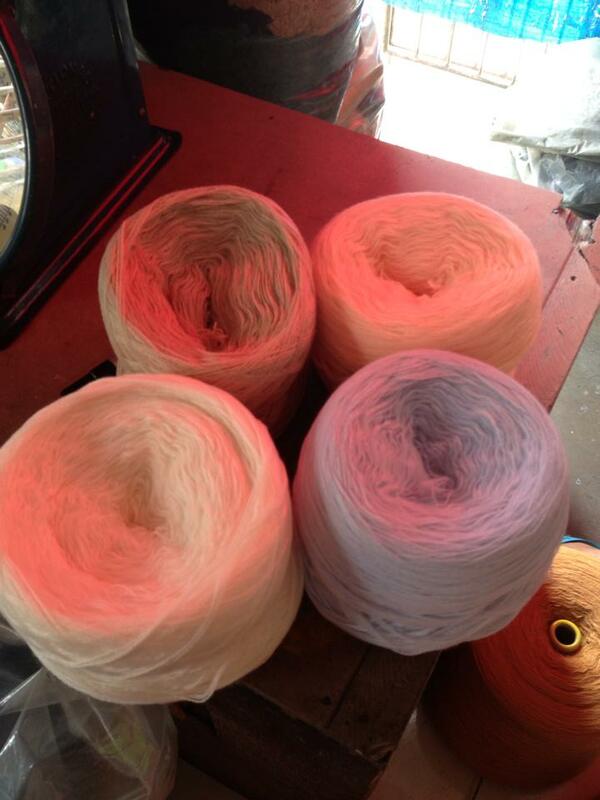 The 3-ply acrylic yarns are spun into balls there are also spun into cones with different textures and materials. They also have different colors! I just love them! 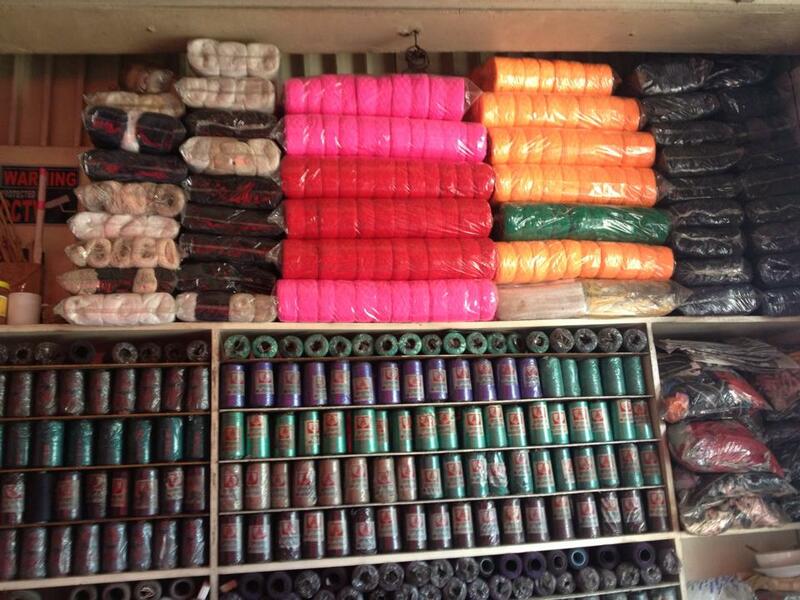 These are the threads at the right side of the store. They also sell cotton yarns but a bit expensive. One ball will costs P50 pesos each (depends on the kilo) but its much cheaper from the Monaco Cotton yarns that I bought from the mall (costing P40 pesos each for a small yarn ball). Though they only have limited colors. The last time that I checked they only have 2 colors, dark blue and dirty white. 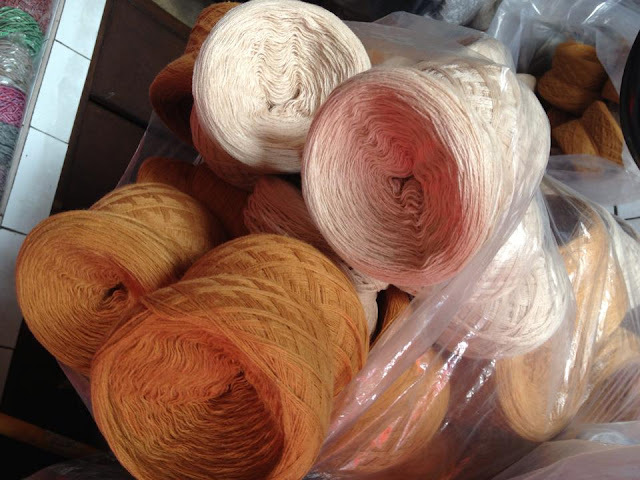 New set of yarns as of September 22, 2015!!! Hooks, markers, plastic needles etc. They also sell cute wallets. This is where the spinning occurs at the left side of the store. Kuya is also making big scarfs. I once asked him and he said he is selling those too. I really really love this store. 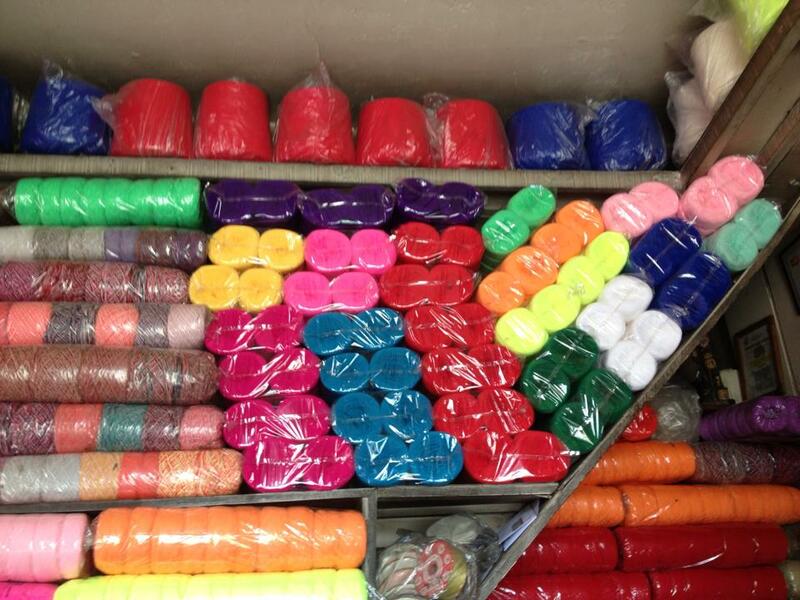 I will not get tired of going and buying yarns here. I still have a lot of yarn stash so it will take time for me to visit again. I am still finishing a crochet mermaid tail for my niece that I will be sharing here on the blog as soon as I finished it. East: Ride any jeep going to Rosario or Ligaya. If you are coming from Ligaya, ride any Pasig jeep (Rosario, San Joaquin, etc) and ask the driver to drop you off Rosario, near IPI before it makes a U-turn, you will see the bodega at the right. 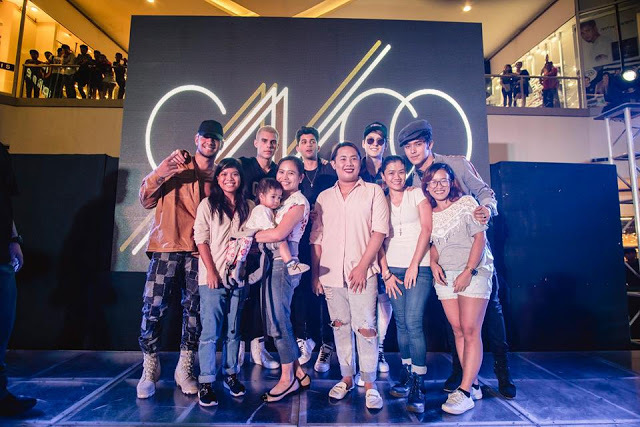 West & North: Your start point is from Cubao. From Gateway, you have the options to ride LRT Santolan and ride a jeep going to Rosario or go to 15th Ave to ride a jeep going to Jenny's/Rosario. South: From Shaw go to the side of Edsa Central Mall facing Shaw Blvd, there are jeeps going to Antipolo, ride that and ask the driver to drop you off Rosario and just cross the overpass. If my instructions are not clear enough, here's an embed image of the Google Street View to help you more, just click it to go thru it. 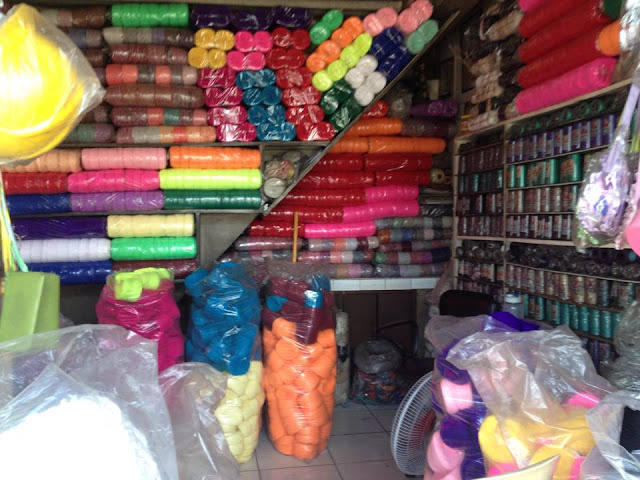 Ayan na yung bodega yarn store mga bes, pagkababa lang ng overpass. 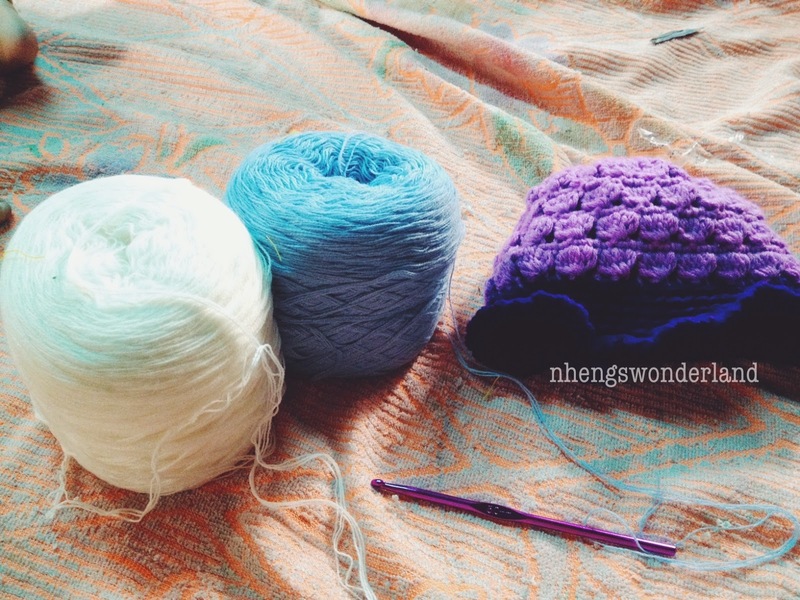 UPDATE: I went back today (September 22, 2015) to buy a new hook for a new project. I said to myself that I will only buy just one hook. But who am I tricking? I ended up buying 4 ball of yarns. Ha Ha Ha. I don't have a stock for white yarns so I bought one and I can't help myself to buy those neutral colors. 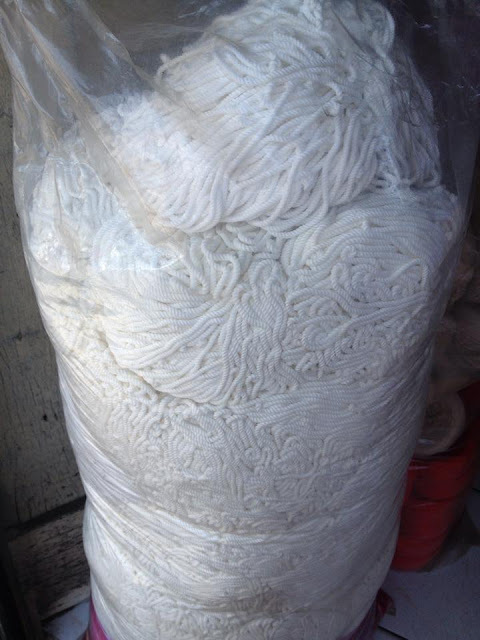 4 Ball of Yarns 0.7 Kilo for P259 pesos only. 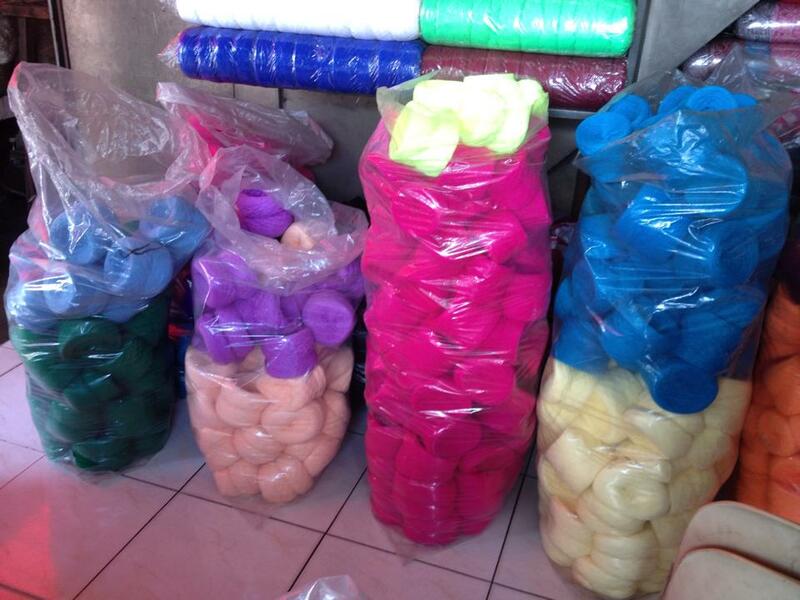 Hook: 2.5 mm for P60 pesos. 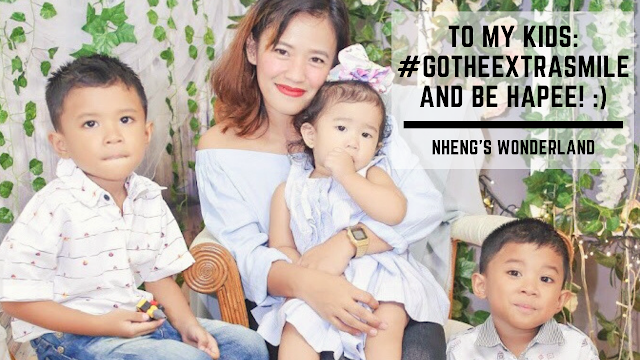 For their hours, please send me a message on my Facebook page so I can send you Kuya Miner's number. He is the best person to be contacted. 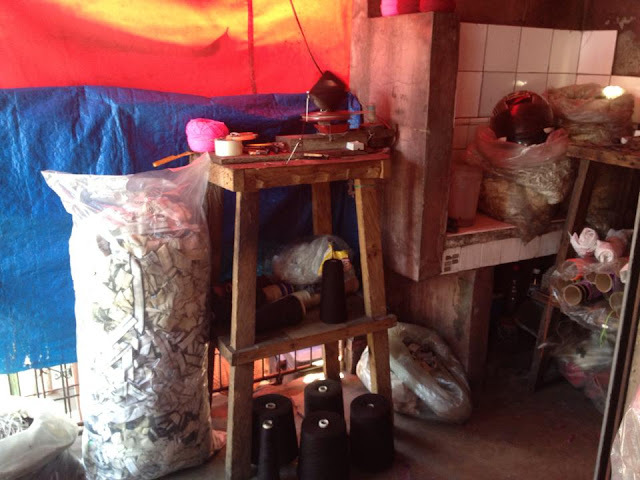 I've been receiving a lot of queries regarding this post of this Yarn Store in Rosario on my Facebook page. And because this gains a lot of views from all of my posts, I decided to update it. So for all those who will stumble on this post, you are all welcome to ask me. Send a message thru my Facebook page: facebook.com/nhengswonderland. I would be very happy to answer all your queries and that is the main reason why I have this post anyway. 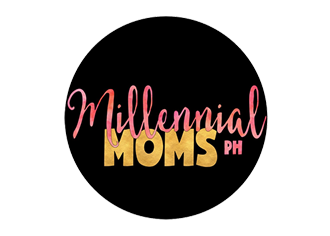 Watch my vlog here when I visited the Yarn Bodega Store in Rosario Pasig!